The purpose of this article is to briefly flag a number of fundamental issues in relation to the huge issue of child protection and professional boundaries. In the current environment, it is vital to be sensitive to teachers’ obligations in this area. Even teachers with no improper motives can be the subject of legitimate investigations if their conduct is of the type engaged in by those with improper motives. To put it colloquially, “what good teachers do for the best of reasons, paedophiles do for the worst of reasons”. Compliance with employer directions, seeking good advice, and transparency, are the critical protections. Firstly, all school administrators and teachers should regularly read the standard of practice, in particular pages 7 to 9 entitled “Employee interactions with students” and “Electronic communication between employees and students”. These contain extremely good advice and many teachers and school administrators come under investigation for failing to comply with these requirements. The range of possible consequences include criminal prosecution, loss of professional registration, employer discipline, actions for damages by harmed students and allegations of discrimination. In relation to the wide range of offences involving improper interactions with students, since 2013 Queensland has had an offence in the criminal code of “grooming children under the age of 16”, carrying a maximum penalty of 10 years imprisonment. 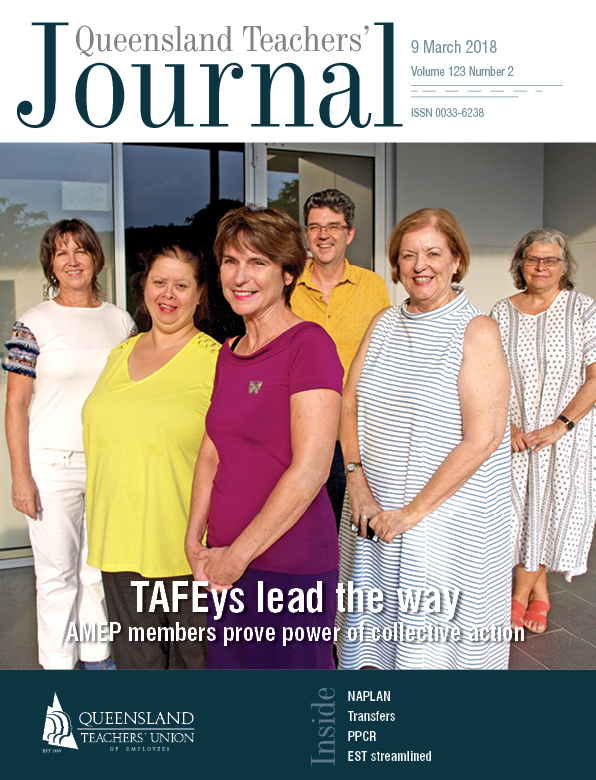 In relation to teacher registration, the critical concept is failing to comply with a standard of behaviour reasonably to be expected of a teacher, where material is provided to the Queensland College of Teachers that indicates that, on the face of it, teachers have seriously crossed professional boundaries. Teachers can be, and are regularly being, suspended on the grounds that they pose an unacceptable risk of harm to children. It can take months to sort out whether in fact they do, including determination of what the true facts are and their significance under the relevant principles. A provision of enormous practical relevance to teachers and school administrators is found in the Working with Children (Risk Management and Screening) Act 2000, under which blue cards are issued. The chief executive of the department administering that act is empowered to suspend a blue card once the teacher’s registration is suspended by the Queensland College of Teachers. Apart from questions of identity, there is no capacity to challenge such a suspension (it seems that the underlying policy is that the blue card remains suspended until teacher registration proceedings have been completed - blue card status is then reviewed in light of that outcome). Once a blue card is suspended, the holder can no longer engage in activities regulated under the relevant legislation. These are extremely wide and include employment, whether paid or voluntary, in organisations such as sporting clubs, churches and so on, running a business involving interactions with young people, and participating in university courses where it is necessary to interact with young people to meet the practicum requirements of those courses. Blue card suspension on the basis of teacher registration suspension can have a massive impact on a teacher’s life. Employers can take disciplinary action, including suspension. Teachers are regularly suspended where child protection concerns arise from professional boundary allegations. Finally, it is always potentially the case that teachers accused of professional boundary violations may be open to being sued for damages (particularly in relation to psychological harm) caused to students in respect of whom they have crossed those boundaries. It is impossible to be too careful. Teachers and school administrators need to be aware of the potential consequences and, where appropriate, to seek advice at the earliest date.